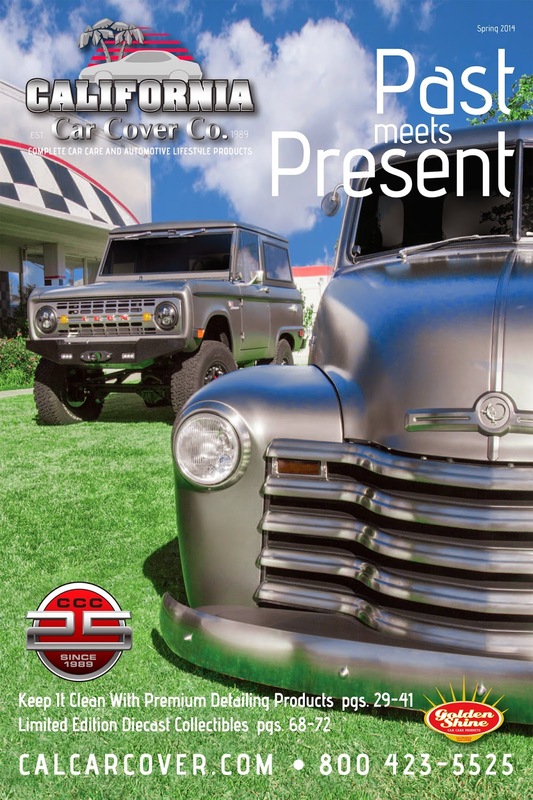 The April California Car Cover catalog featured the custom trucks from ICON. 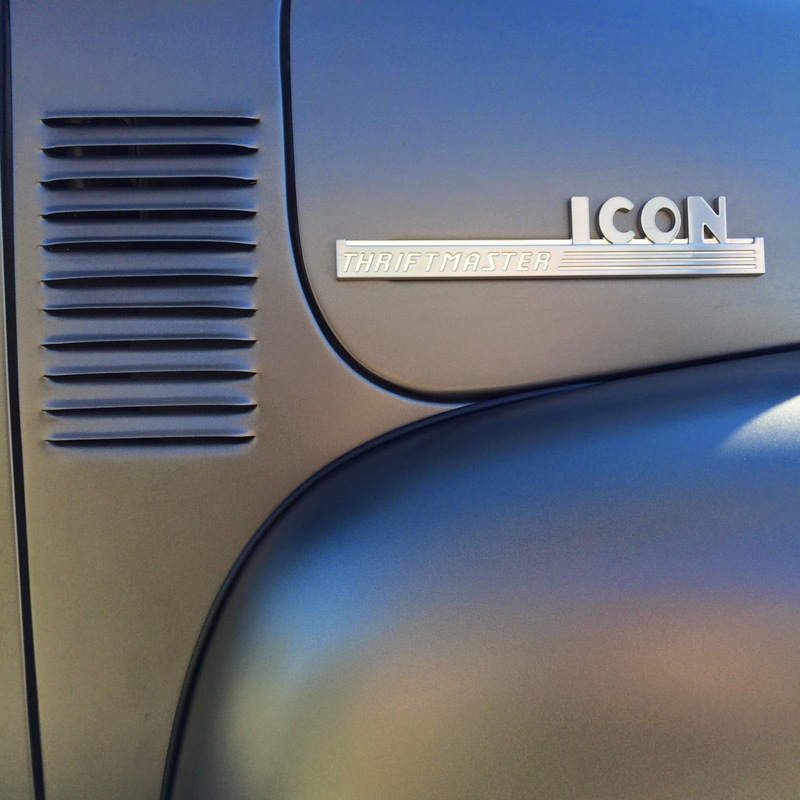 ICON, one of our local customers, builds classic cars and trucks with modern conveniences. I have been a huge fan of their BR Series Broncos since I first saw them. When I saw the Chevy Thriftmaster at this year's SEMA Show I knew it was about time we had them both over for a photo shoot. 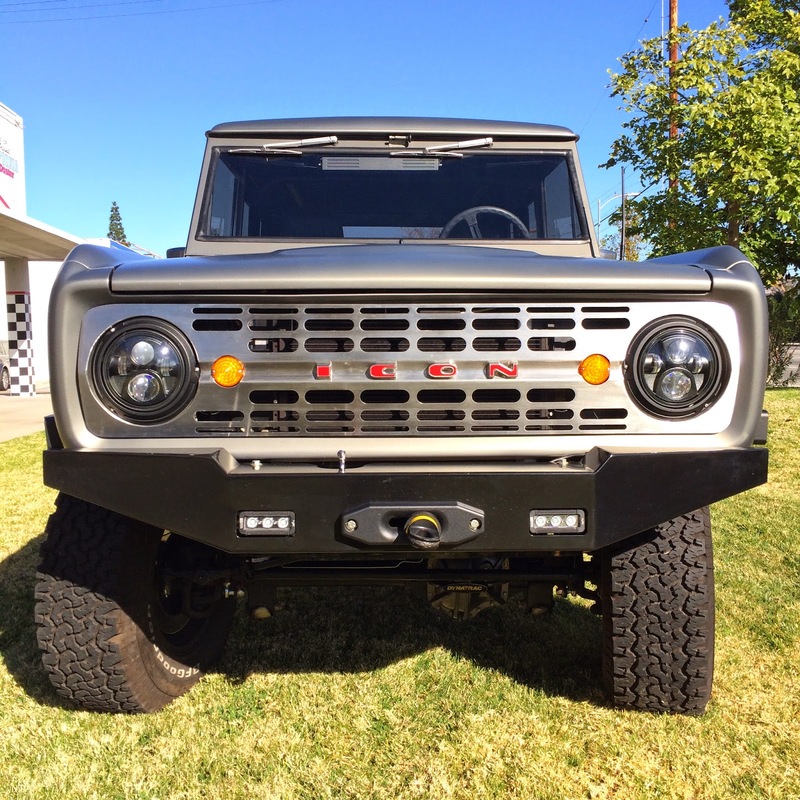 The BR Series is a fresh take on the classic Ford Bronco. 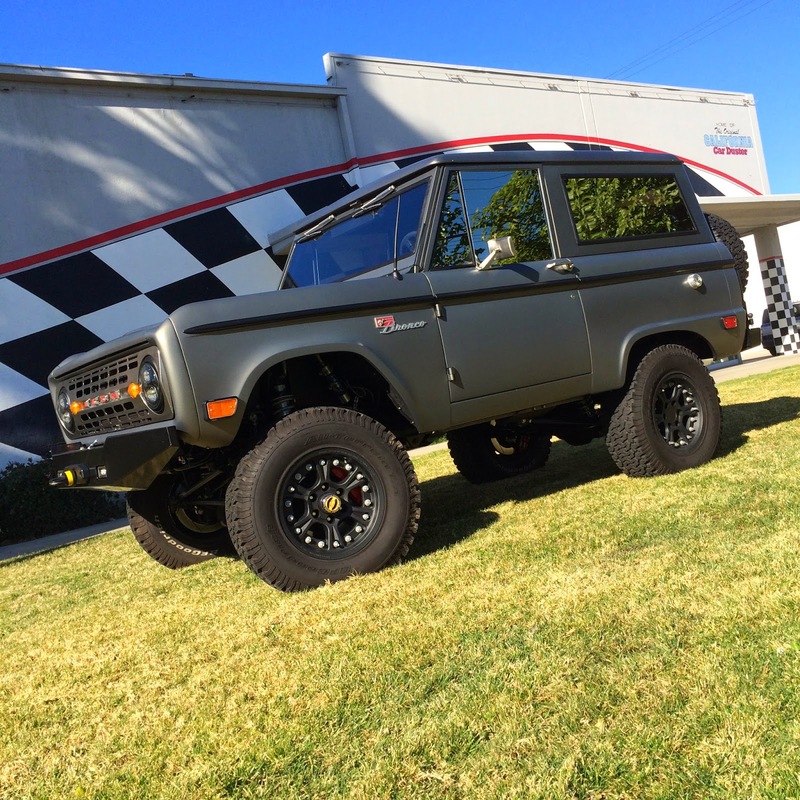 Though the Bronco might just like a matte grey painted Bronco from afar, underneath the BR utilizes modern technology and design for improve driving and performance. ICON designed many of the pieces found on the BR Series. From the bull bar and side mirrors to the taillight guards and front grille, they were are designed by the ICON team. 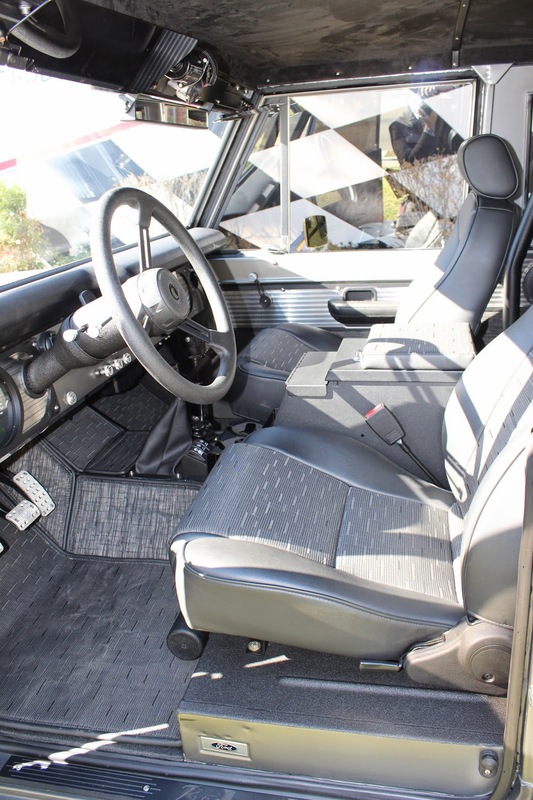 The interior looks good, but is also functional for the serious off road enthusiast. The floor has a polyurethane coating and features drainage holes for easy cleaning. ICON also offers interior upgrades and seating packages. Under the hood, the BR is powered by a 412 hp 5.0L Ford Coyote engine. The truck is available with a manual transmission or optional automatic. Visit the ICON website for more information on the BR Series. The 1950 Chevy Thriftmaster Pickup takes current styling cues and blends them with a tradition classic truck. Like the BR Series, from a distance the Chevy appears to be a pretty standard pickup with a matte paint job and disc wheels. Upon closer examination, you can see the subtle touches that ICON added to the TR Series. The body panels of the Chevy truck are stock, but ICON added custom trim pieces to the entire vehicle. You'll notice the custom emblems and the custom finish grille and bumpers. The custom interior features an Audison entertainment system, dashboard with automated door, Wi-Fi hotspot and much more. The Thriftmaster is powered by a GM E-Rod engine with a 440 hp and a Magnuson supercharger. The truck is finished in a grey-brown matter paint. Thank you to Jonathan Ward and the crew at ICON for assisting us with our April catalog cover shoot. Check back next week for more local event coverage and California Car Cover news.